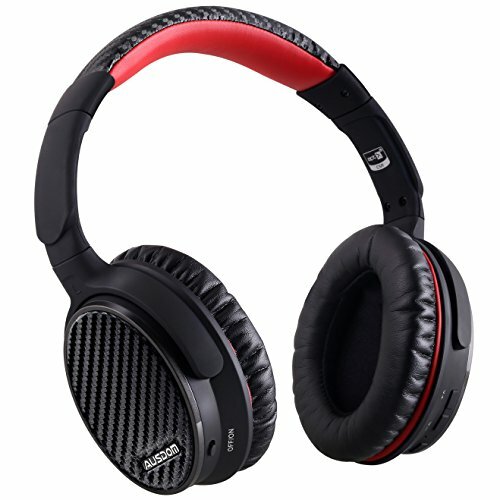 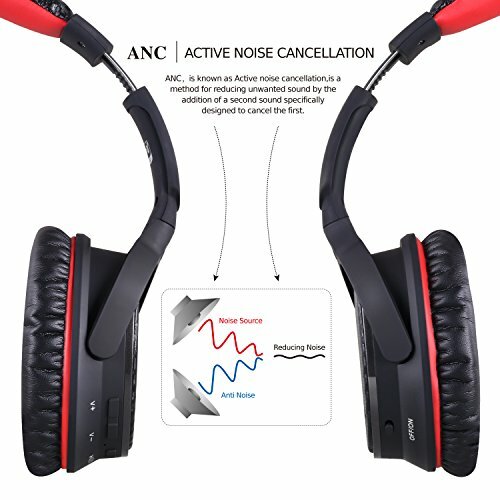 ANC (ACTIVE NOISE CANCELLING) SYSTEM: Cancelling background noise effectively, and smartly designed headphones will enable you enjoy the pure quality of your favorite music.Suitable for use indoors and outdoors with ANC tech .Top-level CSR chip and High-end 40mm large-aperture drivers also give you a Unparalleled Sound Quality. 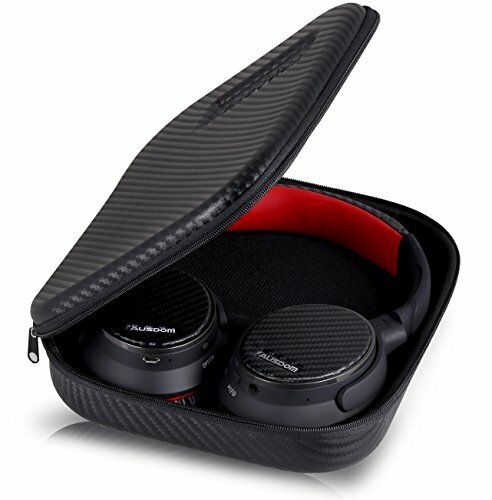 SOFT TEXTURE & CARRYING CASE: Fit supra-aural soft earmuffs and the best synthetic leather earmuffs for long-wearing comfort,has curve ear lap, more fit to the human ear, make it more ergonomic.Designed to allow rotation and folding of ear cups for easy storage of the headphones.We also provide portable carrying case for travelling !! 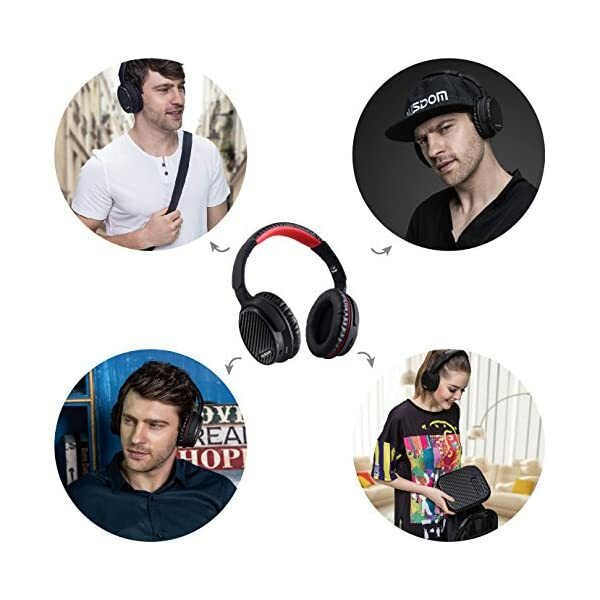 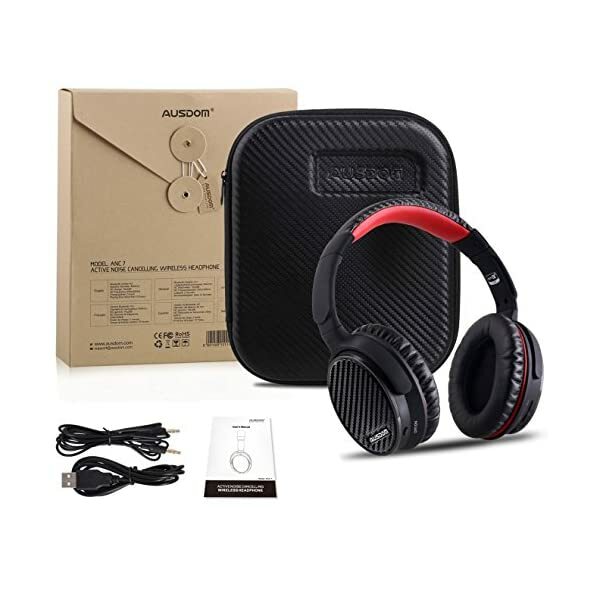 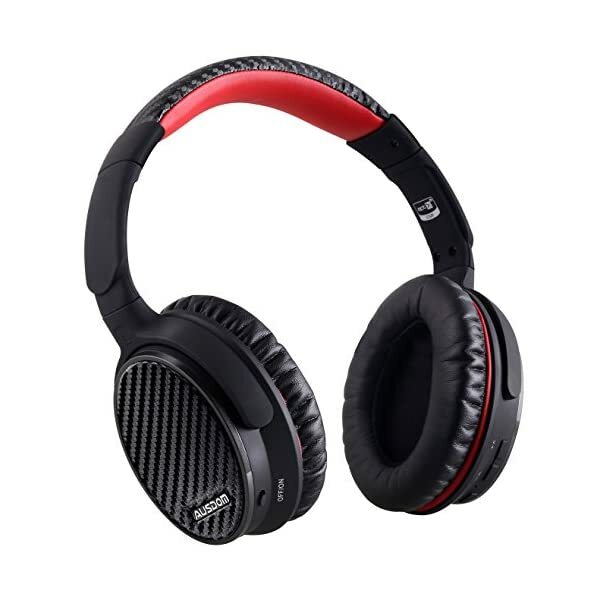 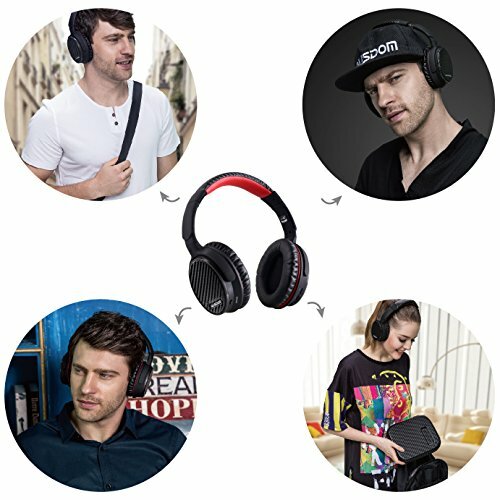 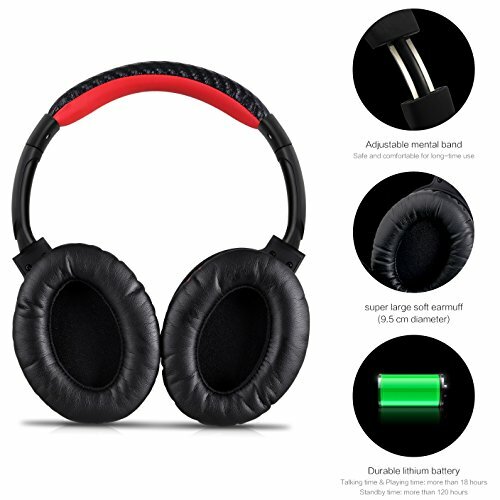 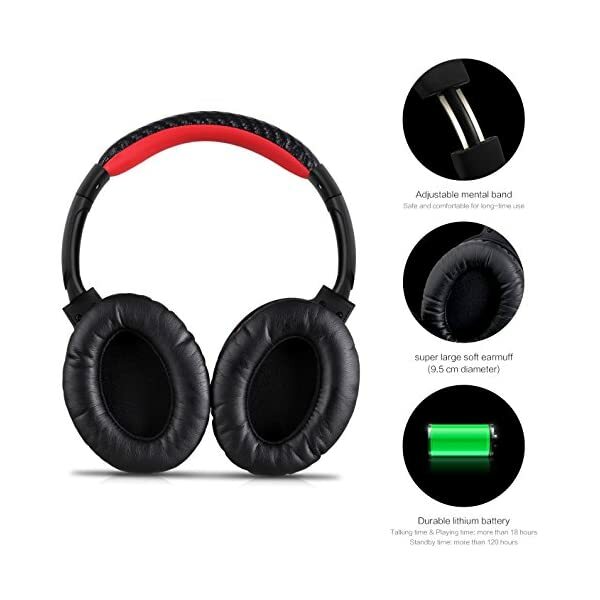 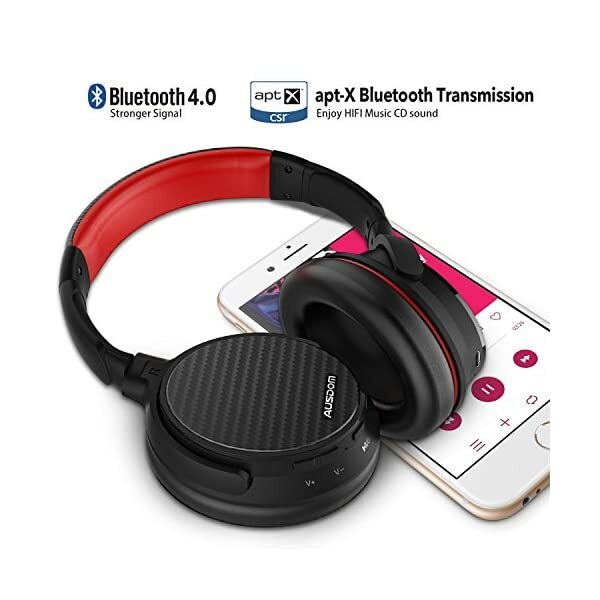 BUILT IN MICROPHONE: Wireless connection with built-in microphone and CVC6.0 technology supports on-board controlling of media and phone calls.Let this wireless headset free your hands.Note: The Microphone only works in the wireless mode. 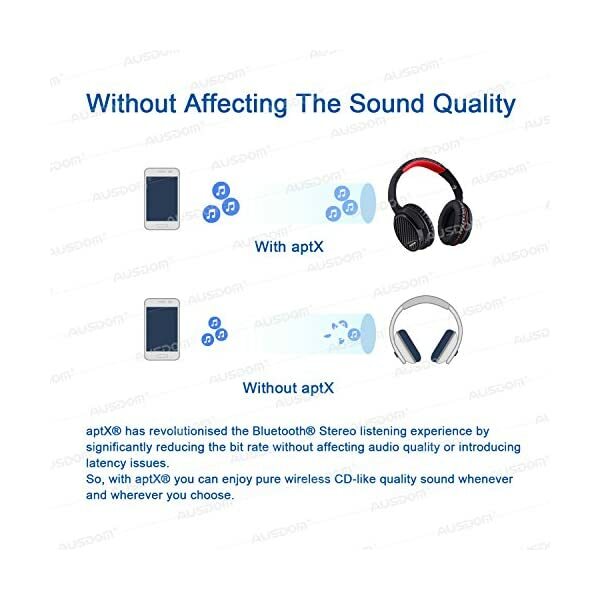 Ever want a noise cancellation Bluetooth headset with build-in Mic for hands-free calls? 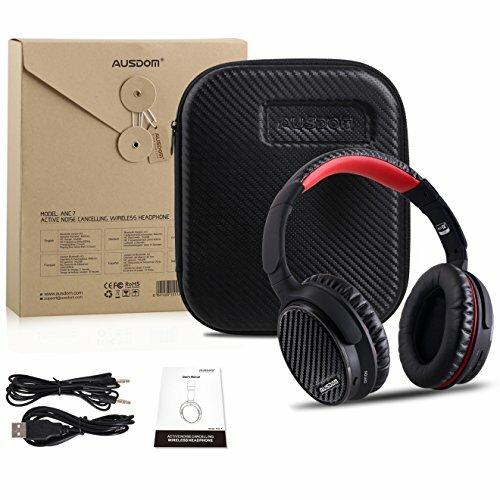 Today you are right here! 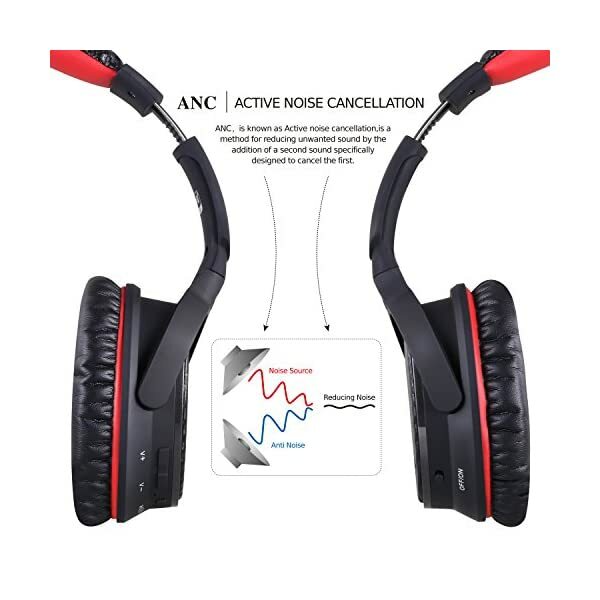 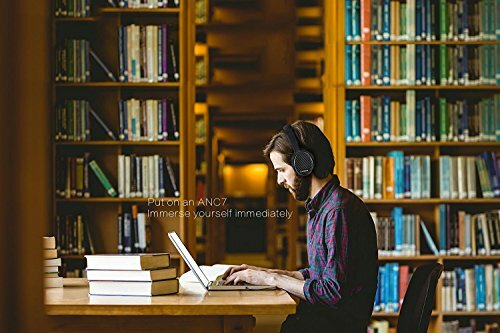 ANC(Automatic Noise Canceller) System, Cancelling background noise effectively, make you enjoy pure and high-quality music. 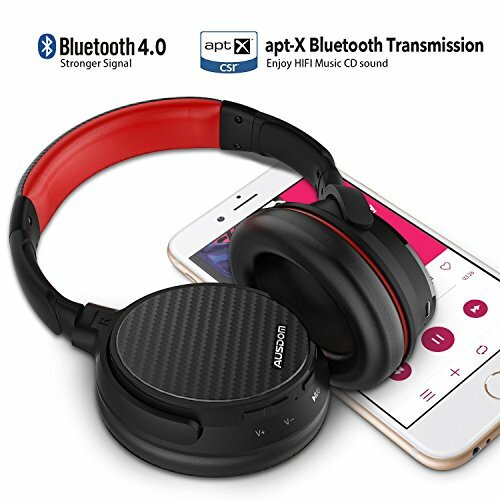 Bluetooth V4.0 technology allows ANC7 to communicate with your bluetooth enabled device within 10 meters range. 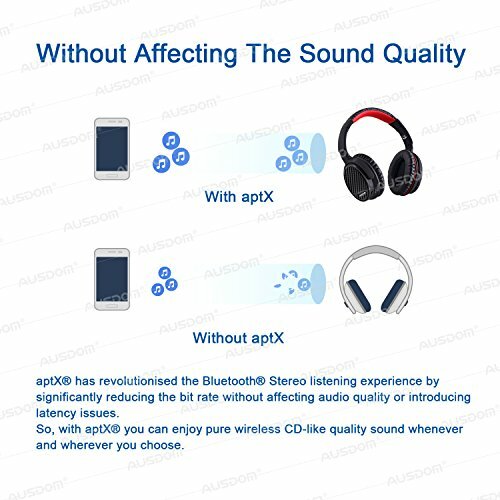 WARRANTY: We also provide 18-month warranty.Feel free to contact us if you have any question.